Councillors will decide next Tuesday whether or not to grant planning permission for the controversial ‘Alice in Winterland‘ commercial event due to take over part of Southwark Park from November to January. The scheme is on the agenda for planning sub-committee B on Tuesday 30 October. 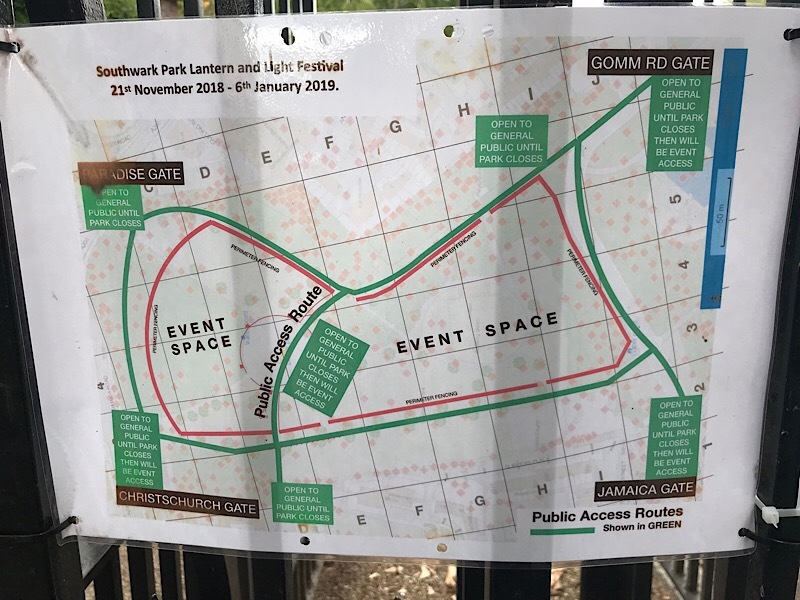 Nearly 500 people have signed a petition opposing the event, but others – including the Friends of Southwark Park – are supportive. Full details of the planning application are at 18/AP/2766. Posted in Parks & open spaces, Planning. A new planning application has been submitted for the redevelopment of the site of The Clipper pub in Rotherhithe Street. 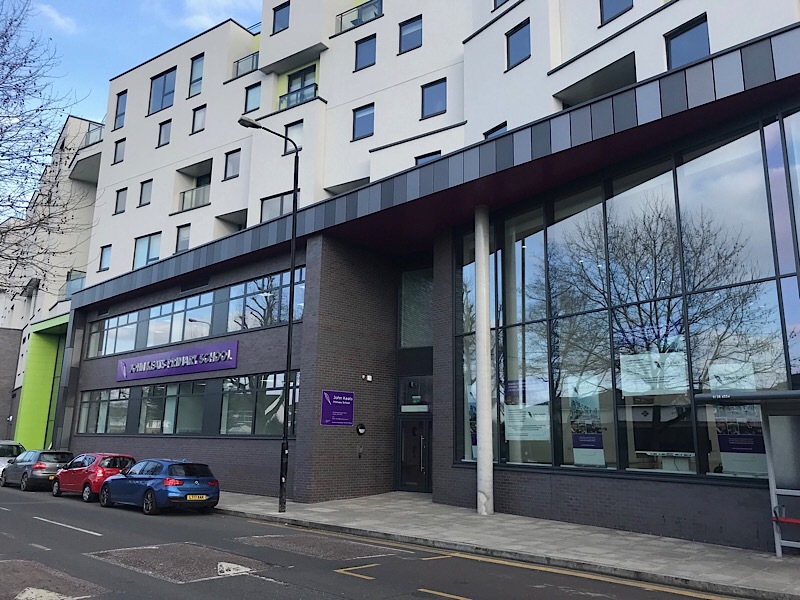 Details of the latest scheme – for seven flats in a four-storey building with ground floor retail space – can be found at 18/AP/3420. An earlier scheme was approved last year. 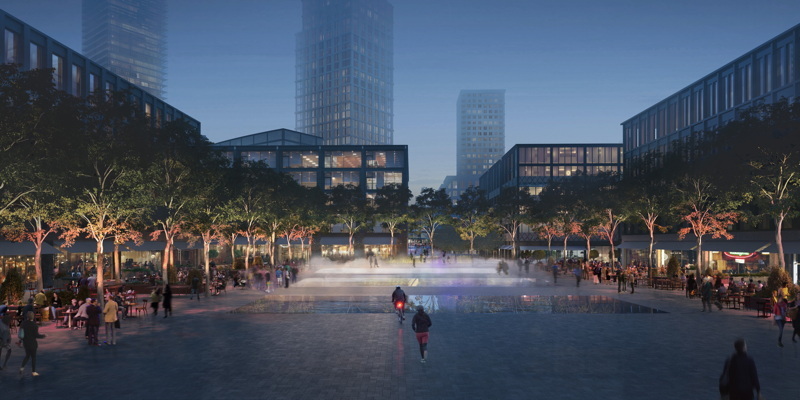 Earlier this month the Greater London Authority published its initial response to the massive Canada Water masterplan planning application that is currently being considered by the council. Mayor of London Sadiq Khan delegated the decision to his deputy mayor for planning Jules Pipe. Unsurprisingly British Land’s plans are “strongly supported in strategic planning terms”. Equally unsurprisingly, transport issues are one of the main sticking points. You can read the 27-page report by GLA planners here. 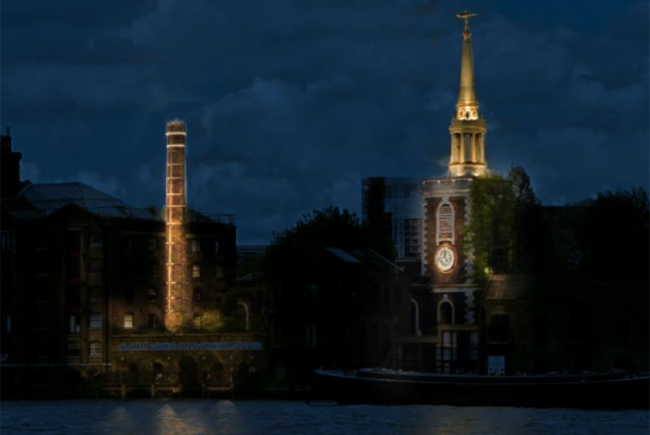 Locals are being invited to contribute to a crowdfund appeal for a project that could see some of Rotherhithe’s most significant buildings lit up at night to acknowledge the area’s role in the story of the Mayflower in the run-up to the 400th anniversary commemorations in 2020. 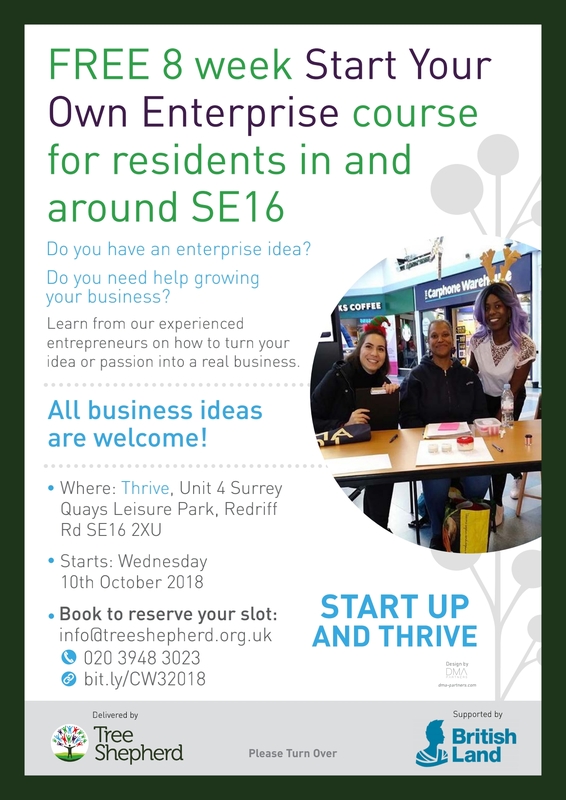 The scheme has been devised by local resident Clare Armstrong and the crowdfunder has been launched by the What’s on in Rotherhithe Group (WORG). So far, 60 backers have pledged £1,811 towards a £33,770 target. The minimum pledge is £2 and you will only be charged if the target is reached by 17 December. The project has already been endorsed by London Assembly member Caroline Pidgeon and from Diane Gorvin, the artist responsible for the Salter statues on the riverside. A public consultation on plans to shut the ticket offices at Rotherhithe and Surrey Quays Station is currently under way. The plans have been submitted by Arriva Rail London, the company which runs the London Overground concession for Transport for London. ARL says that it is proposals include making staff more visible and available at stations, providing assistance and information where it is most needed, and modernising the process for selling tickets to reflect changes in how people are paying for their travel. As part of this, it is now consulting with rail industry bodies and London TravelWatch about closing ticket offices at 51 stations where there are fewer than 12 ticket sales per hour. The ticket offices at Rotherhithe and Surrey Quays are already only open for 15 hours a week (weekdays 7am-10am). London TravelWatch (LTW) is seeking views on the ticket office proposals from passengers and stakeholders on its website until Thursday 11 October 2018 so that they can be taken into account before any decisions are made. RMT union general secretary Mick Cash said: “I am calling on Mayor of London Sadiq Khan to oppose this retrograde plan for wholesale closures in the strongest possible terms. Ticket offices play a crucial role at train stations. 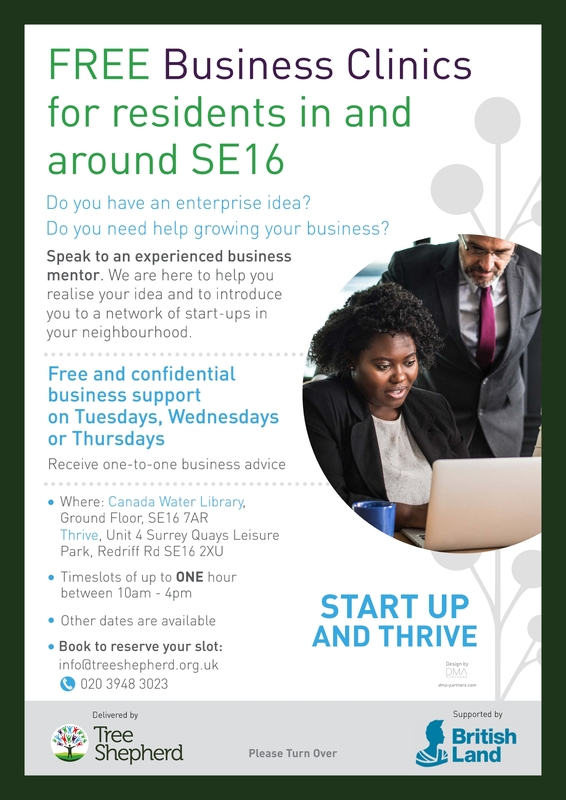 Two opportunities for SE16 locals to get help developing business ideas. The support is offered by Tree Shepherd and is funded by Canada Water developer British Land. Six months after dockless cycle hire was introduced in Rotherhithe and Bermondsey, one of the two operators has withdrawn from the borough of Southwark. 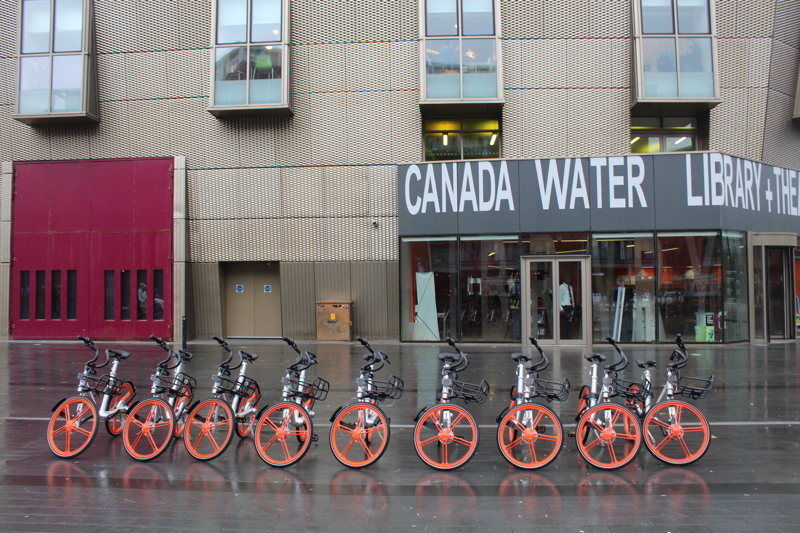 Mobike (whose bikes have orange wheels) received a lot of publicity for its decision to cease operations in Manchester, but at the same time it drastically reduced its London operating area, withdrawing from Southwark entirely, leaving its central London zone covering parts of Camden and Islington. Rival firm Ofo (yellow bikes) continues to serve the whole borough of Southwark. Plans to bring Santander Cycles to SE16 are still on the agenda but no agreement has been reached between TfL and Southwark Council over funding. A large-scale commercial event will take over the northern part of Southwark Park between November and early January. According to the licensing application, “Southwark Park Lantern & Lights Festival is a unique lantern experience themed around Alice in Wonderland. The experience will take place in the Northern section of Southwark Park. Lanterns are being designed around the popular children’s classic, Alice in Wonderland and will include a walk through the story created in lantern format. “The event has been designed to be interactive using slides and other audio visual effects to explore the lanterns. There will also be food and beverage traders, entertainers on the bandstand and special effects. The event will be ticketed and both pre-sale and on the door tickets will be available. “The event is created by Things to Do Ltd. Unusual Expo have designed the lanterns and Continental Drifts will manage the event. Posted in Parks & open spaces, Politics. 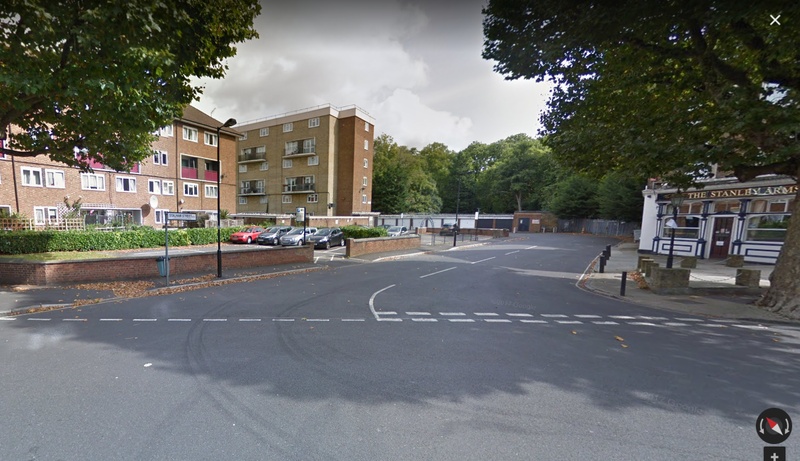 Southwark Council is proposing to build a dozen new council homes on a car park just off Southwark Park Road, close to the Stanley Arms pub. The current round of public consultation runs until Monday 17 September. A planning application is likely to be submitted in Spring 2019 with construction starting in early 2020.